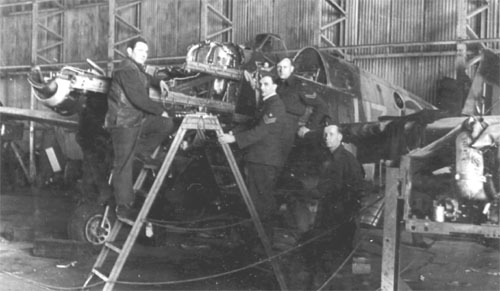 The 306 Squadron - Aircraft. 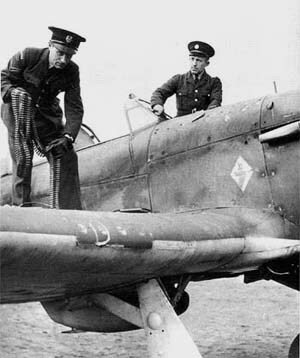 Hurricane I flown mostly by F/Lt Kennard and F/O Nowak. Below this a/c dispersed at Turn Hill. Notice the Miles Master landing on the background of cloudy skies. The same aircraft, place and time. Piloted by S/Ldr Rolski on December 18, 1940, this aircraft collided at Tern Hill with training Master. Later repaired. 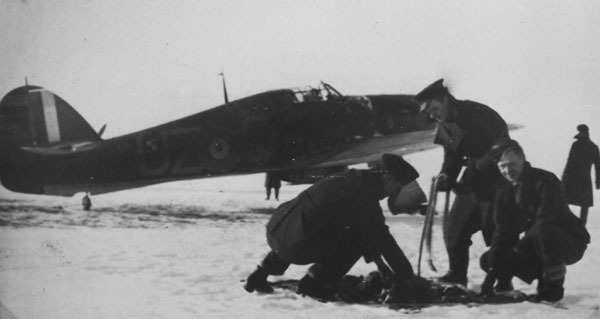 Polish Hurricane UZ-S ready for a take-off from a snow covered Tern Hill. (Picture couretsy of Thomas Thorne). 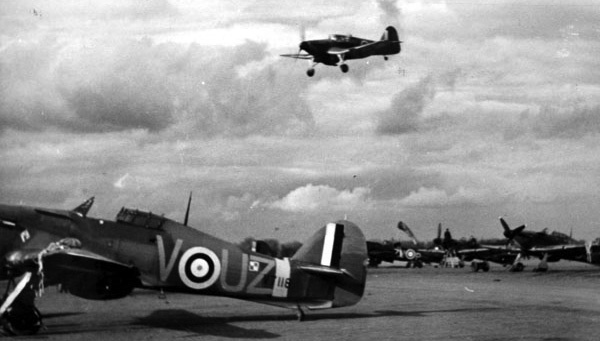 Flight of the 306 fighters takes off from Tern Hill. On right is UZ-D. (Picture couretsy of Thomas Thorne). Left: F/O Nowak examines the unit's logo. Right: Another staged photo taken at Tern Hill. Ground crew taking care of the Hurricane. 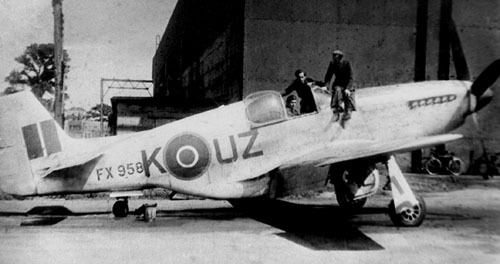 Spitfire MkIIB, UZ-N, P8342, after the sortie on 29 August 1941. 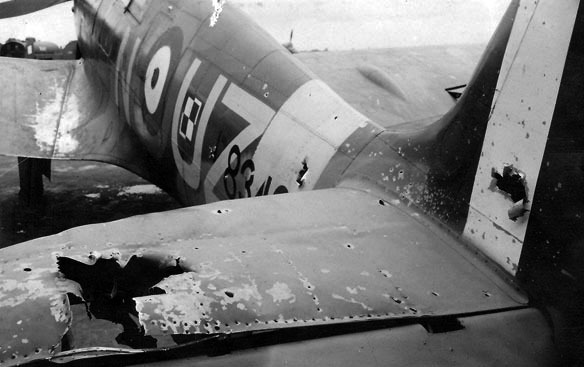 Sgt Machowiak shot down a Bf109 on that flight, in return being shot up himself - visible damaged on the empennage. The emblem of a circus artist, shooting a bow and riding a unicycle appears with the name "Ceram". It was usual to name the aircraft after the town or organisation that paid for it. In this case the money was raised by people from the Dutch East Indies. Ceram is the presentation name, an Island in the East Indies. 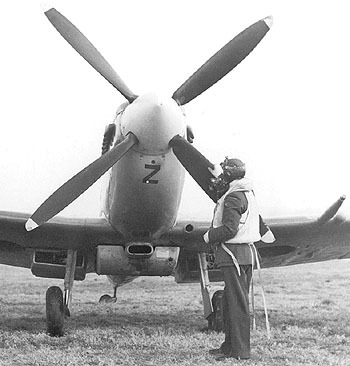 Only 170 Spitfire Mk IIb were built and there are very few photogrpahs of them. Below closer view of the damage. 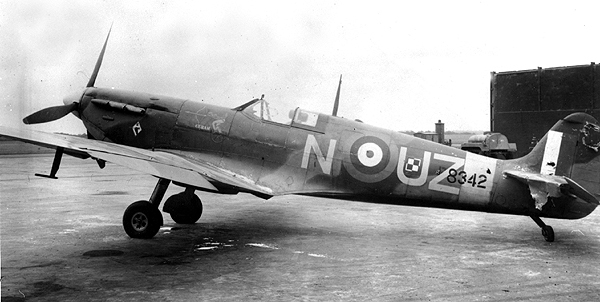 Spitfire Mk V, R6770 (UZ-V) in which F/Sgt B. Kroczynski was shot down on 22 August 1942. Notice the bent metal blade propeller. 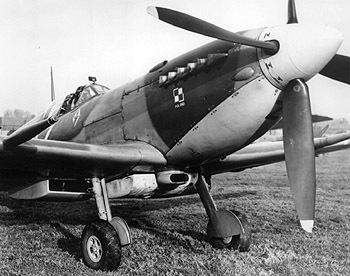 Different propellers were used depending on the engine type and manufacturer, which later, by the shortage of aluminum were forced to produce wooden airscrews. Another UZ-N. 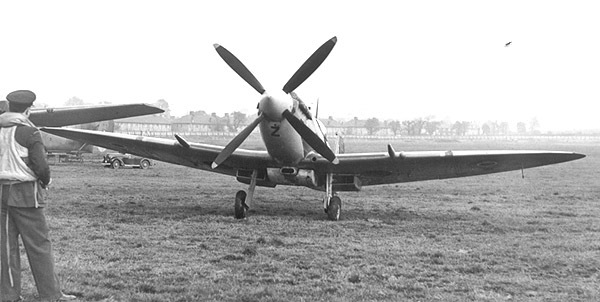 This one is the Spitfire MkIX, EN128 in 1943. On 31 December 1943 F/O Pietrzak flew that aircraft scoring the PAF' 500th kill. Notice a stain stretching from engine stocks caused by engine tuned up to run lean or its fire. On this Mustang III, the 306 pilots, F/Sgt Pomietlarz and F/Lt Potocki scored three victories. Profile by R. Gretzyngier. UZ-U landing at ALG Coolham in 1944. Above and below: two pictures taken at Andrews Field. 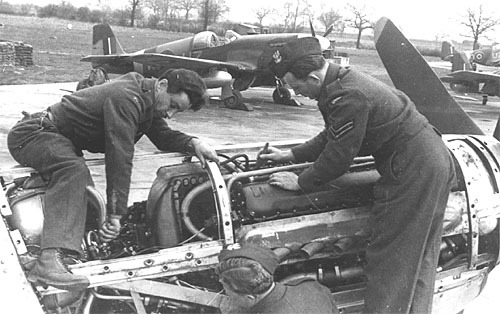 Ground crew changing engine in one of the 306 Mustangs III. April 1944. Brand new Mustang III flown mostly by S/Ldr Lapka. Andrews Field 1945. Clearly visible is a dot over the code letter Z, which designated aircraft belonging to S/Ldr Zulikowski. 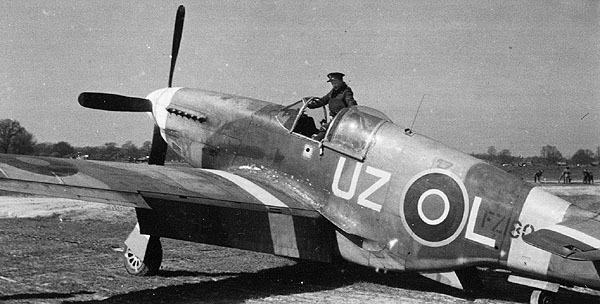 After the war many aircraft carried no longer needed camouflage. Paint needed to cover the aircraft weighted many pounds.